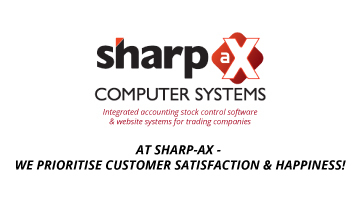 Sharp-aX Computer Systems Limited is committed to protecting the privacy and security of your personal information. 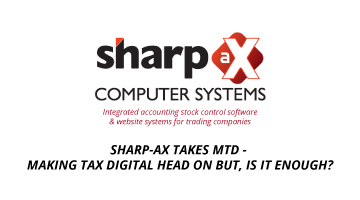 Sharp-aX Computer Systems Limited is the “data controller” and responsible for deciding how we hold and use personal information about you. We are required under data protection legislation to notify you of the information contained in this privacy notice. Contact, Financial and Transaction Data from providers of technical, payment and delivery services such as WorldPay. We may occasionally purchase mailing lists from third parties, where clear consent has been given by the original data subject to be processed in this fashion. We may on occasion receive referrals from existing customers, or other members of the public to indicate that we should get in touch with you. Your Data Abroad We do not transfer or process data outside of the European Economic Area unless we have specific consent or where the nature of the processing requires it. For example, because you have chosen to use an email or other communication service which routes data outside of the EEA. We have appointed Jean Freeman to oversee compliance with this privacy notice. If you have any questions about this privacy notice or how we handle your personal information, please contact Jean Freeman or Melinda Halasz, Administration Department – dataprotection@sharp-ax.com You have the right to make a complaint at any time to the Information Commissioner’s Office (ICO), the UK supervisory authority for data protection issues.